This family-friendly West Beach campground is located on the waterfront, within 2 mi (3 km) of West Beach and Henley Beach. Glenelg Beach and Grange Beach are also within 3 mi (5 km). Situated in Hackney, this campground is within 1 mi (2 km) of National Wine Centre of Australia, Adelaide Zoo, and Adelaide Botanic Gardens. Adelaide Oval and Rundle Mall are also within 2 mi (3 km). 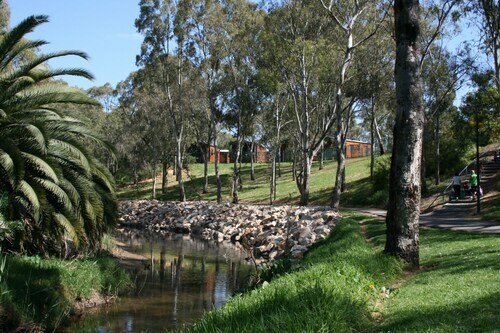 Situated in Vale Park, this campground is within 3 mi (5 km) of National Wine Centre of Australia, Adelaide Oval, and Adelaide Botanic Gardens. Government House and Victoria Square are also within 6 mi (10 km). Offering direct access to the beach, this Kingston Park campground is 1.3 mi (2 km) from Brighton Beach and 1.7 mi (2.7 km) from Brighton Jetty. Glenelg Beach and Glenelg Jetty are also within 6 mi (10 km). Adelaide Marino Station is 17 minutes by foot and Adelaide Marino Rocks Station is 18 minutes. Ah, the salt in the air and the ocean breeze on your face. 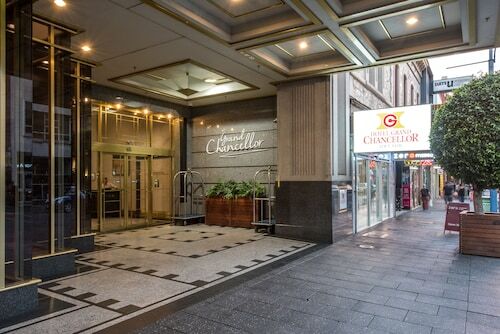 Adelaide may be known as the “City of Churches,” but there’s much more to see here. From rolling wine country to some of Australia’s best festivals, you definitely shouldn’t count out Adelaide for your next trip. Pack your bags and start your engine: Adelaide caravan parks are at the centre of it all. Budget-friendly: Kick off your thongs and relax in your cosy cabin or pull into a powered site. 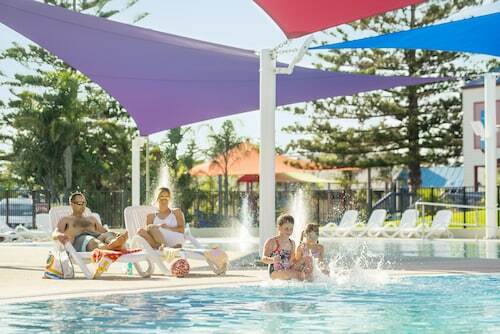 Discovery Parks – Adelaide Beachfront is a cheap place to stay with tons of value-packed amenities. Splash zone: Pack your best five swimsuits for this one. Big4 West Beach Parks is right on the beach, plus it has a swimming pool. 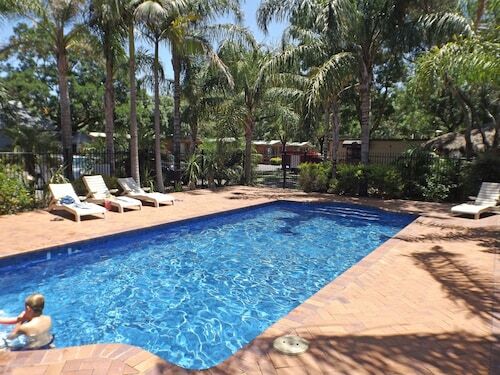 Home away from home: The digs at Levi Park Caravan Park were made for long-term holidays. The playground keeps the kiddos entertained and the river views never get old. Love wine tasting but never understood the blasphemy of spittoons? Then a hop-on hop-off winery tour is the answer. Travel is no spectator sport, and neither is the Adelaide Oval Stadium Tour. Bring your camera to the exclusive locker room and commentator’s booth to become part of the cricket and AFL paparazzi. Barked at by a sea lion? Check. Smiled at by a koala? Check. Selfie on the most Remarkable Rocks you’ve ever seen? Triple check. Just a typical day on Kangaroo Island. 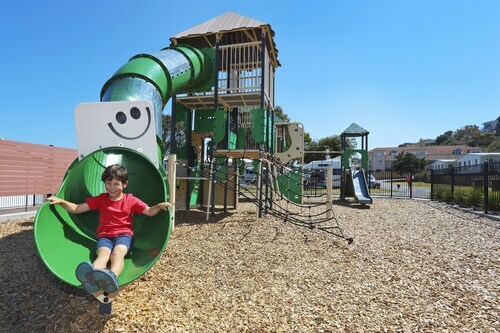 Need another reason to book an Adelaide caravan park? Adelaide’s about a day’s drive from Melbourne and the gateway to the Bight. So what are you waiting for? Put the pedal to the metal and head to Adelaide.